What Foods Have High EGCG? Epigallocatechin gallate (EGCG) is part of a group of compounds known as catechins. Catechins have been connected to several health benefits and may reduce major health problems like stroke and cancer. EGCG specifically has been used to treat certain types of cancer and some autoimmune diseases like Sjogren’s syndrome and HIV. By consuming foods that contain this substance, you may be able to improve your health and reduce incidence of disease. The main source of EGCG is loose-leaf green tea. 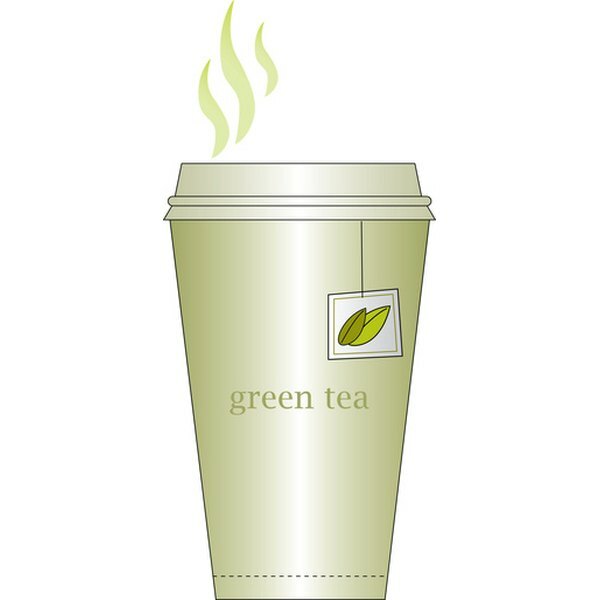 Regular green tea has between 180 and 200 mg of catechin per cup. Because each cup of tea uses a slightly different amount of leaves, it's impossible to get an exact amount. Decaffeinated brewed green tea has around 60 mg and flavored brewed green tea contains 45 mg. It's best to choose "real" green tea over the instant or bottled variety, as these only have 9 mg of EGCG on average. A 2007 study by the USDA examined many different foods to determine their nutrient contents. It was found that apples contained up to 6.26 mg of EGCG per 100 g of apple. The Fuji variety reportedly had the highest amount of EGCG. Unsweetened and canned apple sauce was not found to have the same benefit. All apples contain many catechins in general, and one should eat the apple's skin to consume all potential micronutrients. Raw blackberries were found to have a maximum of 7.44 mg of EGCG per 100 g in the 2007 USDA study. In general, blackberries are rich with nutrients and contain up to 312.86 mg of total catechins. To get the full benefit, consume raw, whole blackberries rather than blackberry juice. Carob is a plant that is similar to cocoa but has a taste slightly more like honey. Carob flour is harvested from the Ceratonia siliqua tree and can be used as a substitute for chocolate powder. Carob flour contains as much as 109.46 mg of EGCG per 100 g, according to the USDA study. It is not mentioned whether the flour needs to be consumed raw or if it continues to maintain its nutritional integrity when it is cooked. Many other foods, typically fruits and vegetables, have trace amounts of EGCG. These foods include strawberries, nuts, peaches, avocados, plums, onions and raspberries. It is not known whether these trace amounts are enough to see the positive benefits of the catechin. These particular foods do have many other nutrients, however, which may lead to other health benefits.